This event "Operate: 2-Step, UK-Garage & House" @ Farbfernseher has already ended on 07/19/2018. Here you can find upcoming events for this location! 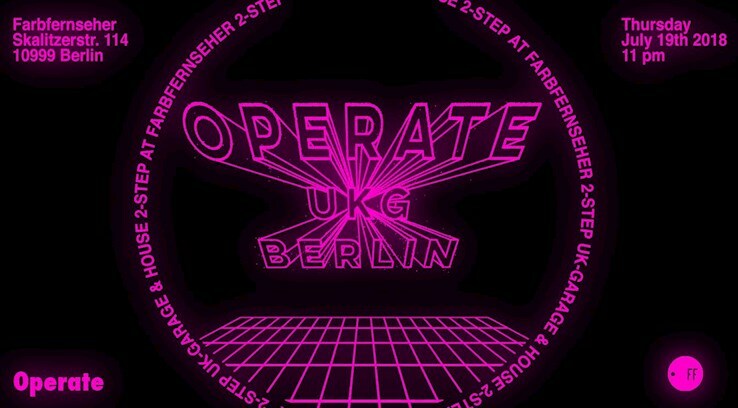 Coming up soon: the next round of UKG and 2-Step at Farbfernseher, our seriously celebrated bi-monthly event OPERATE in its 3rd year. On July 19th we are really happy to have NGHT DRPS joining the team. The highly valued member of the Through My Speakers crüe will tune in with his own take on the UKG topic. We can't wait to have him showing off with his expertise.